Michelin guide books showcase the finest in cuisine and award noteworthy restaurants one star to three stars, the latter of which denotes ‘exceptional cuisine worth a special journey.’ The restaurants awarded with these coveted stars are chosen by anonymous food critics, otherwise known as inspectors. It is a highly secretive process, ensuring that the procedure is a fair one. 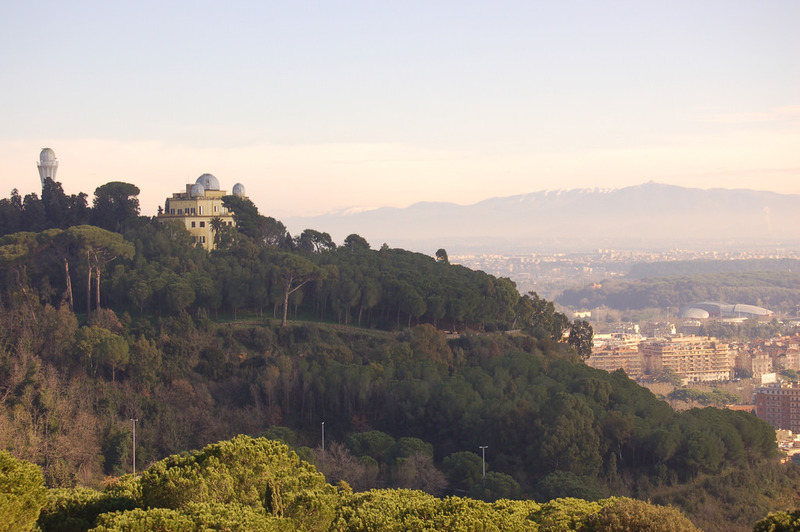 With Italy’s incredible selection of talented chefs, it’s no wonder that there are eight three-star gems dotted throughout the country. Here, we explore Italy’s three-star Michelin restaurants. Located in Rome in the Rome Cavalieri, La Pergola is nothing short of pure elegance. The only three-star Michelin restaurant in the city, this gem offers a one-of-a-kind experience that combines exquisite seasonal cuisine with truly breathtaking surroundings. Indeed, the interior space is adorned with incredible works of art, including Sèvres porcelain, a rare Aubusson tapestry, paintings, a bronze candelabra from the 18th century and more. Even the table settings are gorgeous with vermeil plates and cutlery. As for the menu, the culinary team, headed by Executive Chef Heinz Beck, creates only the finest recipes, with current highlights being lobster on sweet potatoes with vegetable pinzimonio and smoked filet of veal on celery, carrot and tomato powder. As can be expected with any top-of-the-line venue like La Pergola, they also feature an impressive wine cellar with over 60,000 bottles. Jackets for men and reservations are required. Piazza Duomo is located in Alba, and provides an experience like no other. Best described on their website, this is ‘not one restaurant with 11 tables, but 11 little different restaurants,’ meaning that you’re guaranteed to receive personalized and attentive service — an experience you won’t certainly won’t forget. Although the dining room is small, it is bright and charming with soft pink walls decorated with a mural full of symbolic images by Francesco Clement, a Neapolitan artist. 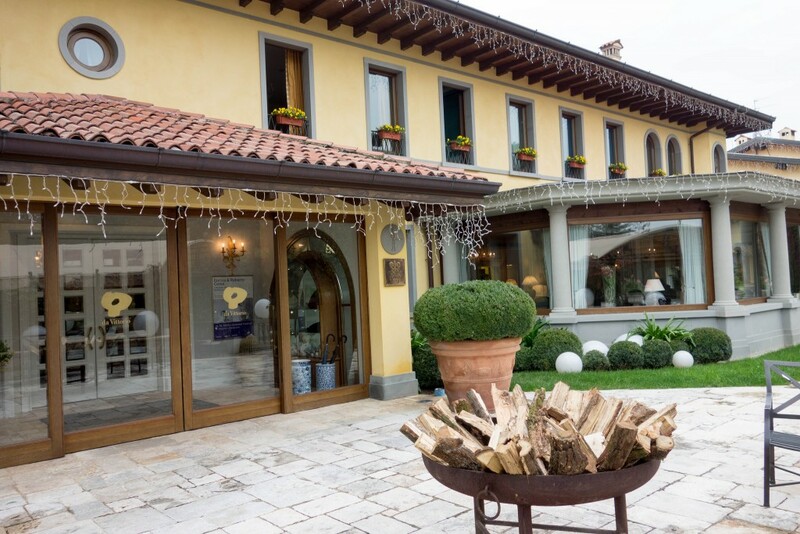 The kitchen is headed by Chef Enrico Crippa who procures the freshest regional ingredients (everything comes from a radius of 50 kilometers), some of which comes from the restaurant’s vegetable garden. The menu does frequently change to reflect the best products, but you might find delectable options such as suckling pig and turnips, deer with foie gras sauce and lamb with chamomile. The wine selection is as impressive as everything else Piazza Duomo offers, with a bottle to complement every recipe. Opened in 1966 in Bergamo (northern Italy) by Vittorio and Bruna Cereal, Da Vittorio is still a family-run affair, headed by Mrs. Bruna Cereal and her five children. Now situated in Brusaporto, this esteemed restaurant has garnered many accolades and awards over the years, with its first Michelin star in 1978; in 2010, it was awarded the coveted third Michelin star. Its beautiful countryside locale and elegant interior make an ideal location to enjoy the incredible cuisine, which, of course, is made with nothing but the finest ingredients procured from area purveyors. The seasonal menus ensure that there is always something new to try, but you may find mouthwatering options such as spaghetti with bacon, scampi tails and almond and duck breast with coffee and Guanaco chocolate. Da Vittorio is also home to a wine cellar brimming with thousands of bottles. What started out as a small family restaurant in the mid-1920s, Dal Pescatore has grown into a world-renowned gem with three Michelin stars. Still within the family, this charming establishment can be found in Canneto sull’Oglio within the nature reserve of the Oglio Sud park, tucked inside a beautiful country house that exudes both elegance and warmth. Diners can sit inside, which is outfitted with luxurious yet comfortable furnishings, or outside on the lovely terrace when the weather is warm. Respecting their heritage, the culinary team, headed by Nadia and Giovanni Santini, still uses elements of traditional cooking, but they also look to other culinary meccas, such as France and North and South America, for new techniques to implement. Oftentimes, they use recipes that have been handed down from generation to generation but made with a new, healthier edge. Be sure to make reservations if you want to dine at Dal Pescatore. Located in Florence, Enoteca Pinchiorri is a classic, contemporary restaurant that offers exquisite fare and incredible service. By paying special attention to every aspect of the décor, including the lovely floral arrangements dotted throughout, the owners have created a beautiful interior space that is a perfect blend of old and new by incorporating sleek furnishings with 19th-century artworks from Tuscany. Like so many of the restaurants on this list, Enoteca Pinchiorri pays respect to the traditional methods of cooking while still being innovative, offering discerning diners new and exciting combinations of flavors. A great example of their innovation of flavors is the current dish of roasted Mora Romagnola baby pork with a spiced carrot and sweet-and-sour shallots. 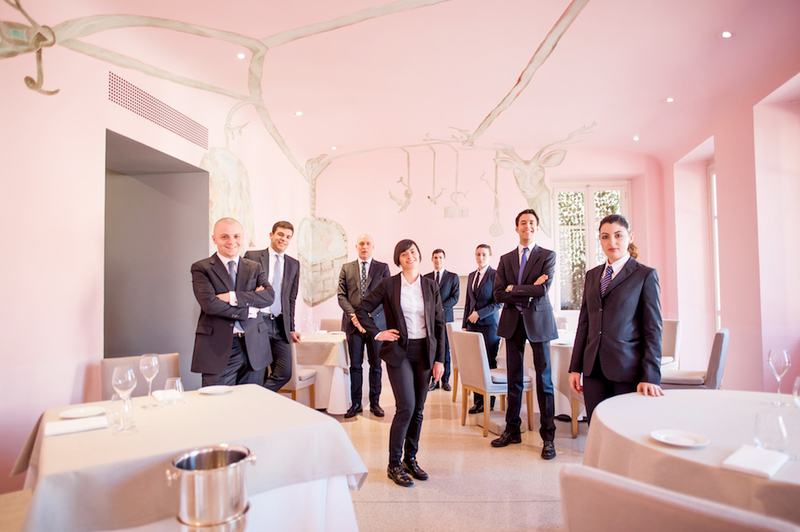 The restaurant is also known for its outstanding wine cellar curated by Giorgio Pinchiorri. Reservations here are highly recommended, so be sure to make one. Opened in 1995 by Massimo Bottura, Osteria Francescana is an intimate venue located in Modena and has garnered accolades and awards throughout its history — from one Michelin star in 2002 to a second in 2006 and finally, the coveted third star in 2011 — and it’s easy to see why. The interior is simply breathtaking and features an impressive array of artwork from the likes of Francesco Vezzoli, Ceal Floyer and Damien Hirst. The kitchen is ‘experimental’, meaning that the culinary team is not afraid to mix it up with new ingredients and techniques. Three different menus await guests — one à la carte and two tasting — that are brimming with unique marriages of seasonal flavors. 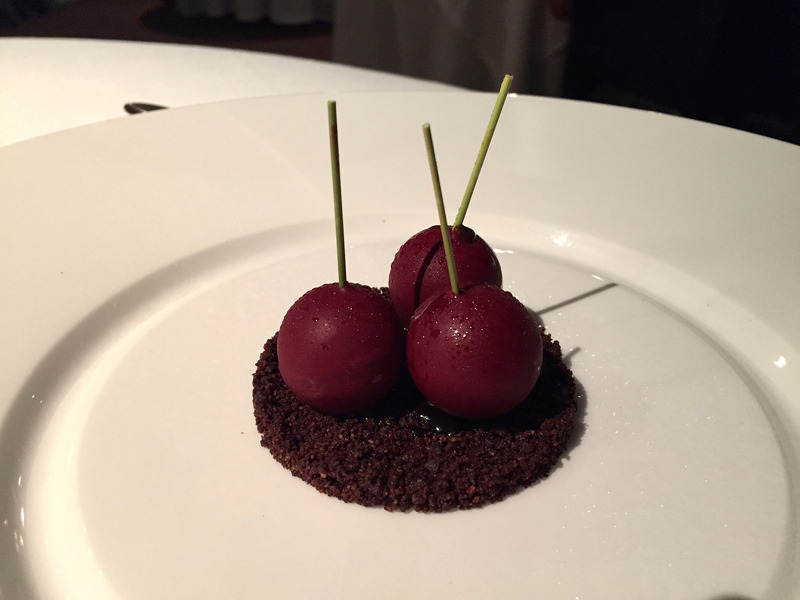 Osteria Francescana is open Tuesday through Saturday and reservations are required. Located on the site of a 16th-century monastery, known as the Casadonna complex, Reale is an incredible family-run restaurant. Brother and sister duo Niko and Christiana Romito have created a lovely establishment with stripped down yet elegant décor, friendly and attentive service and delectable cuisine, all of which aided Reale in earning three Michelin stars within seven short years. The culinary team is headed by Niko whose philosophy is to allow each ingredient to shine; in other words, he wants to bring out the best in each ingredient, not hide it with another flavor. Some of the restaurant’s highlights include pigeon and pistachio, Roasted Savoy Cabbage, Pork Belly and Celeriac. 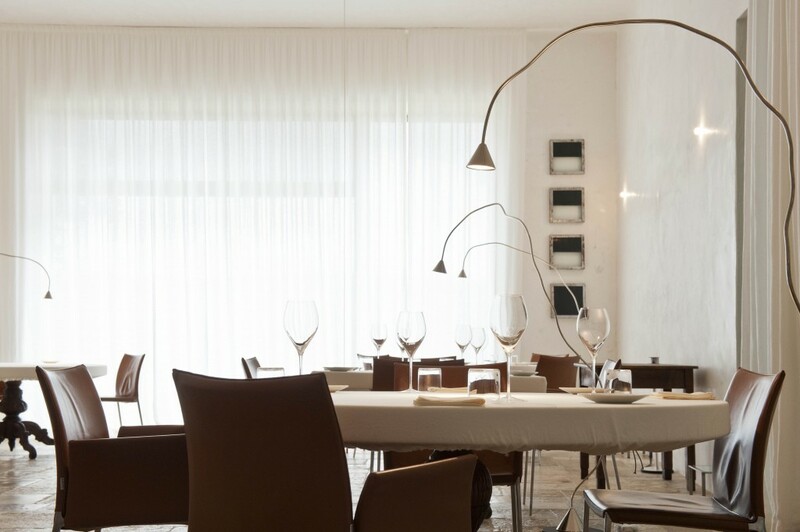 Holding the impressive three Michelin stars since 2003, Le Calandre is an exquisite restaurant situated in Rubano. The sleek and modern space, complete with hand-carved wooden tables made by Italian artisans, is complementary to the ever-changing, inventive culinary masterpieces created by Chef Massimiliano Alajmo. Inspired by the world around him, Chef Alajmo produces edible works of art that are sure to leave a lasting memory. Procuring the best seasonal ingredients, the chef puts together three tasting menus — ‘Classico,’ ‘Max,’ and ‘Raf — from which guests can choose. For easy perusing of the wine list, Le Calandre presents guests with an iPad on which they can explore the 1,000+ wines available in the cellar.